Ardex offers its advice on the most common tiling queries the company encounters. Q: How can I quickly and effectively repair damaged external render? External render provides a vital line of defence against the elements. If it’s compromised with cracks, gaps or holes, water can get in and expand due to frost. This can effectively force the render away from the brickwork causing more damage to the outside walls and increasing the risk of damp and mould getting inside. For this reason even the smallest hairline cracks need to be filled to prevent further damage in the future. For larger areas, you’ll need to firstly remove the damaged and loose render. 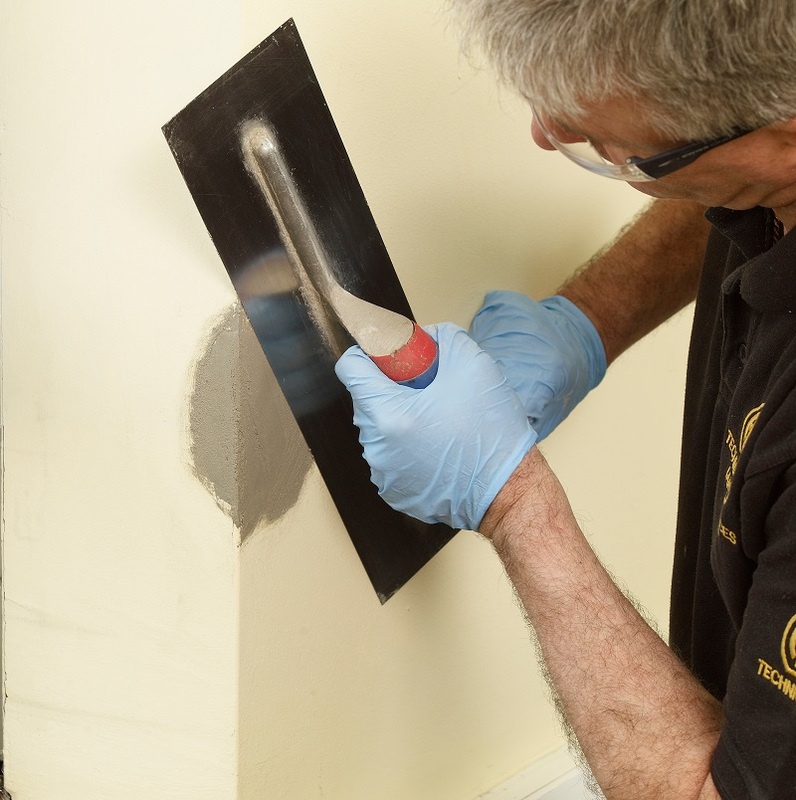 With appropriate Personal Protective Equipment and suitable tools remove the damaged render and leave square cut edges to provide a key and a suitable depth for the new mortar. Once this is done, clear the damaged area of any loose debris and dust which could weaken bond strength, and you’re ready to apply the Ardex A 46 Multi-Purpose Repair Mortar. Traditionally render repairs have been applied in progressively thinner layers, waiting for each layer to harden before the next. Understanding the importance of speed and efficiency for renovations, A 46 Multi-Purpose Repair Mortar addresses the factors crucial for a successful repair. The product is a rapid setting, slump free mortar which is ideal for external and internal use. The polymer modified mortar sets in only 30 minutes to give a repair of high performance, strength and hardness. Furthermore it’s easy to smooth and float, can be applied from 2-50mm deep and is shrinkage compensated, which means you won’t come back to find a repair which has cracked, or recessed once set. A 46 is easy to mix – approximately three parts powder to one part water by volume – and priming is not usually necessary unless the surface is extremely porous, in which case a thin “scratch coat” can be applied to achieve good adhesion before applying the mortar to the required thickness. Apply with a trowel, ensuring the mortar “wets” the surface by trowelling in firmly, leave the repair proud and after about 10 minutes, or when sufficiently firm, simply trim off the excess and finish off with a wet trowel, sponge or sponge float to obtain a smooth surface. For more information about Ardex Fast Track systems click here.